In reality spring games are just the 15th and final practice to end spring camp. It’s the final scrimmage where coaches will have the last opportunity to coach their team on the field until the summer. It’s also an opportunity to showcase their team for fans, something Dan Mullen doesn’t take lightly. 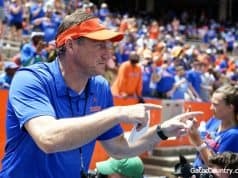 This is the second year in a row that Mullen has made tickets to the game free. There are a number of initiatives around the stadium that will make the experience more fun for fans including food trucks and music around the stadium. Attendance for Mullen’s first spring game was good. The 53,015 announced crowd was the largest for a first spring game for any of the last three coaches at Florida. Mullen brought back former players, had special guest coaches that called a couple of plays and former safety Lawrence Wright even caught a touchdown. In the social media age, spring game attendance is scrutinized and trolled when the numbers don’t match up to the amount of empty seats that are seen in pictures. Florida State became a victim to that with a pitiful attendance last Saturday. Florida State announced 27,901 Saturday, a stark drop from the announced 69,934 from 2018. Last weekend social media had fun with Florida State’s spring game attendance. Based on pictures the 27,901 number may have been fudged and it’s a common practice to inflate attendance numbers at sporting events. 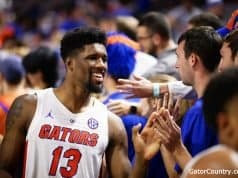 Mullen even admitted to fudging numbers in the past. 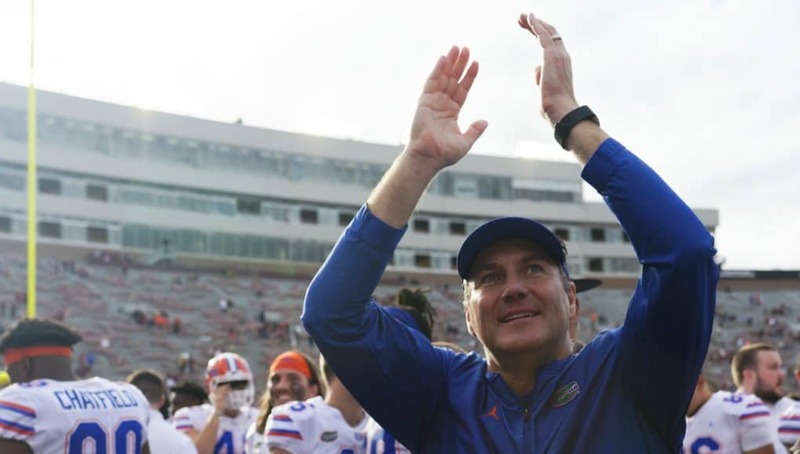 Mullen insisted that the Gators didn’t fudge their total from the 2018 spring game, but had an interesting, albeit massive troll idea, to potentially fudge an number for a specific reason in the future. “Well not like ridiculously but for like silly stuff. Maybe the attendance matches the score of a certain game or something like that in the season. 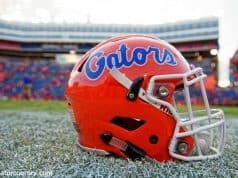 We’ve done that type of stuff before,” Mullen said. The spring game is supposed to be fun. It’s not meant to be a serious end all be all event and Mullen has taken steps outside the stadium to ensure that happens for fans. He’s also put a product on the field that fans can be proud of. The next step, trolling one of your biggest rivals with a doctored attendance number? Yeah, that’ll make your fan base happy.